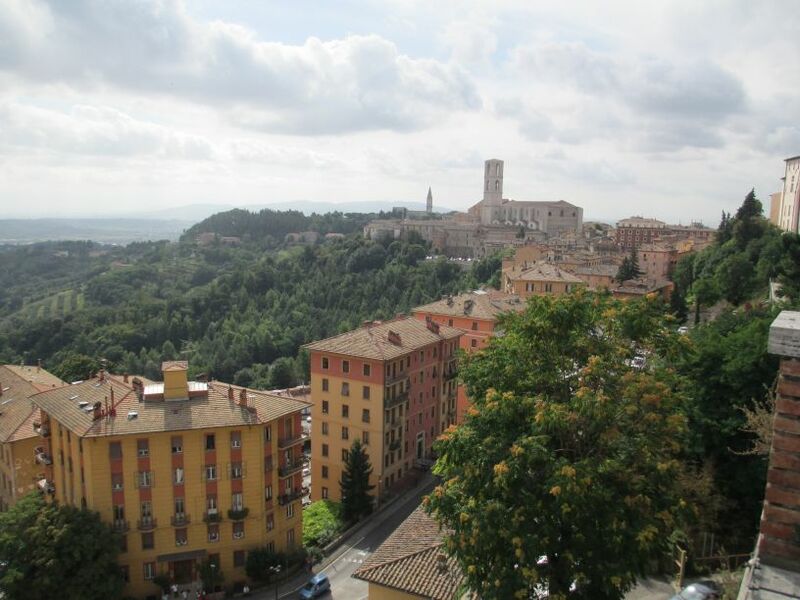 Perugia, Umbria, Italy: View from the hill top from near the MiniMetro station. 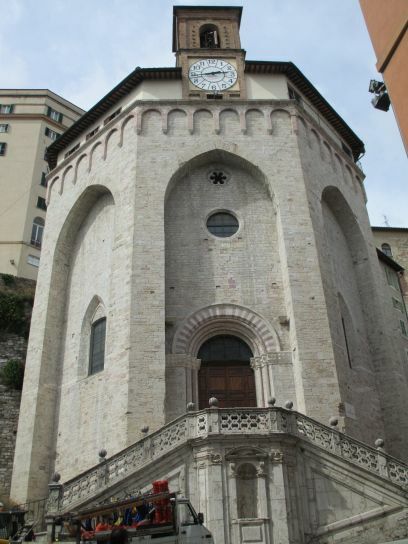 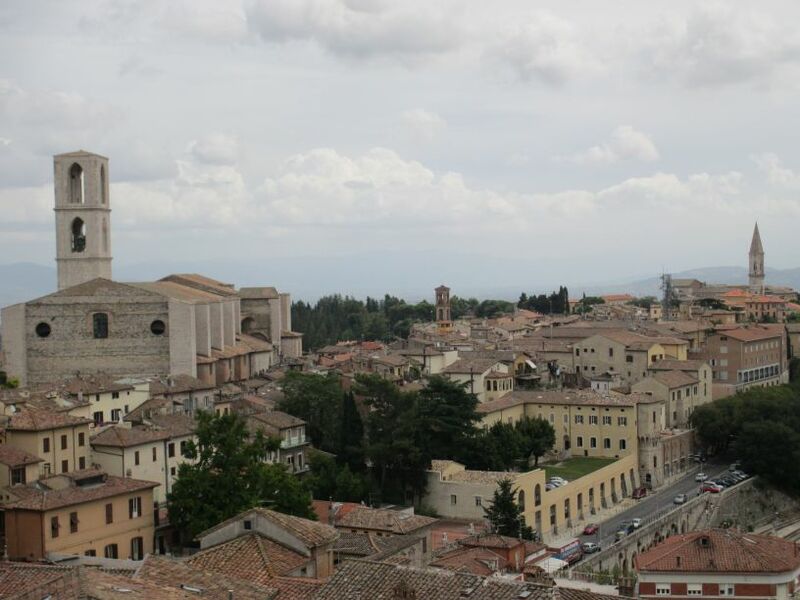 Perugia, Umbria, Italy: View across to the church of San Domenico. 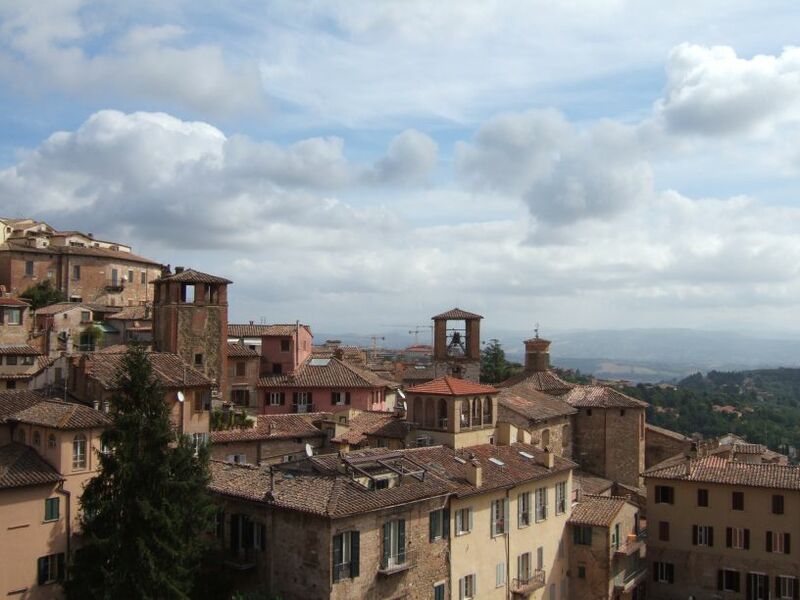 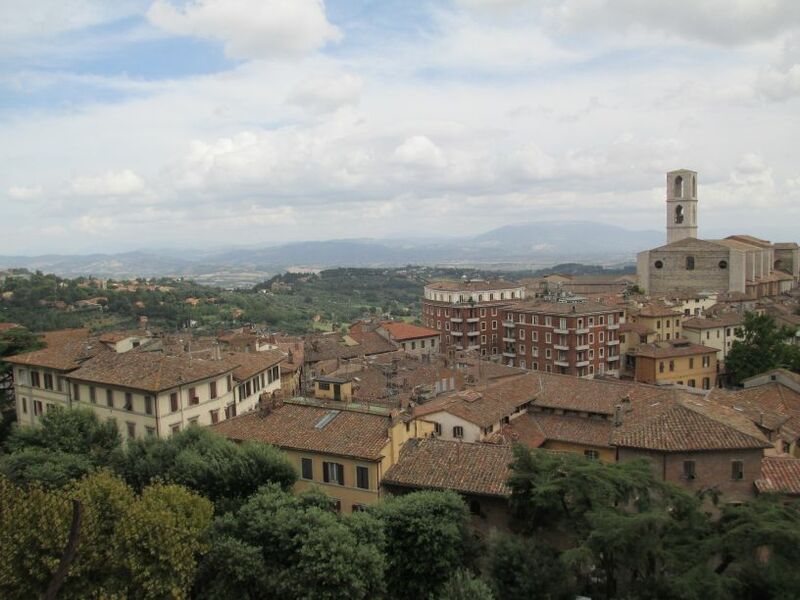 Perugia, Umbria, Italy: View from the city walls towards the churches of San Domenico (left) and San Pietro (right). 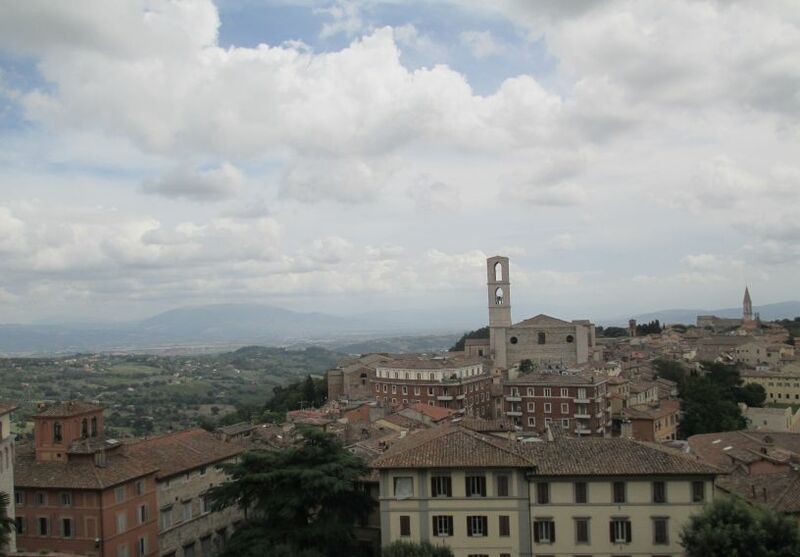 Perugia, Umbria, Italy: View towards the Umbrian Hills in the distance, San Domenico on the right. 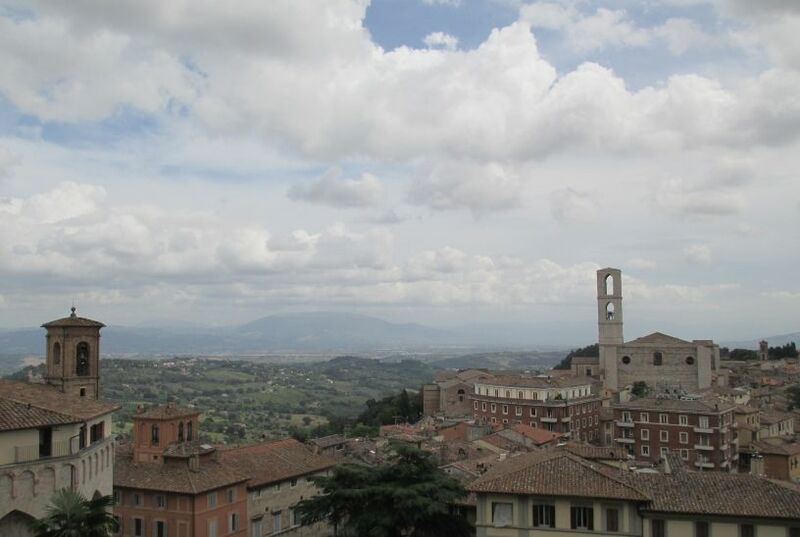 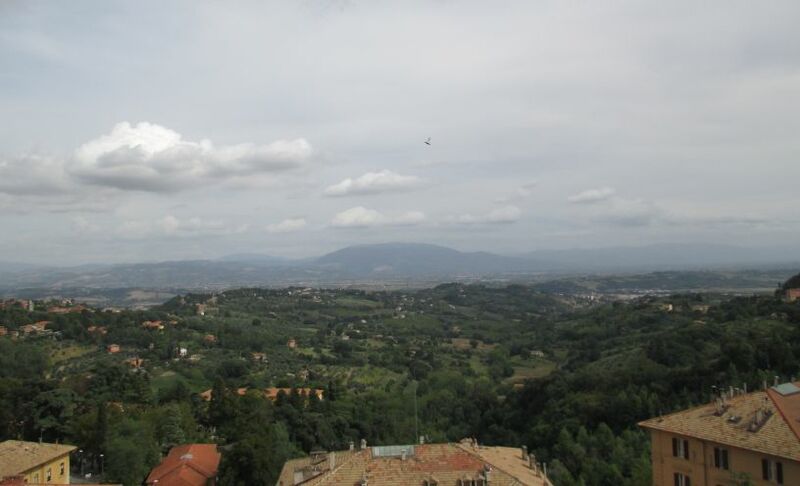 Perugia, Umbria, Italy: View towards the Umbrian Hills in the distance, San Domenico on the right., ? 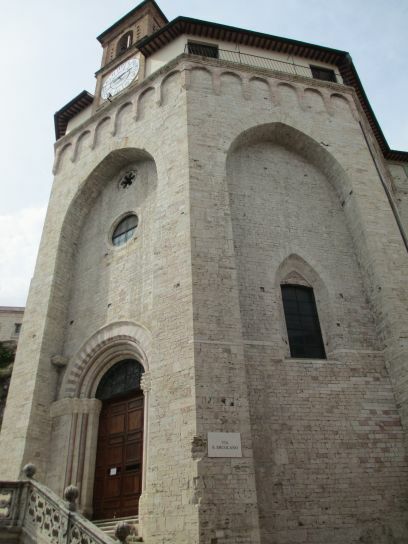 Church on the left. 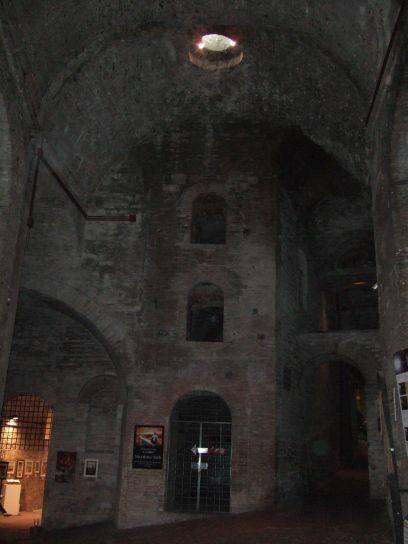 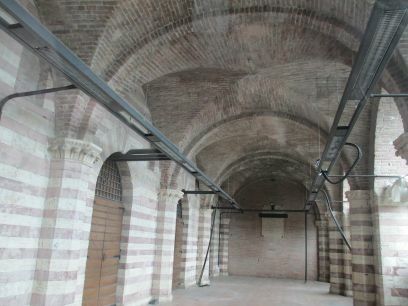 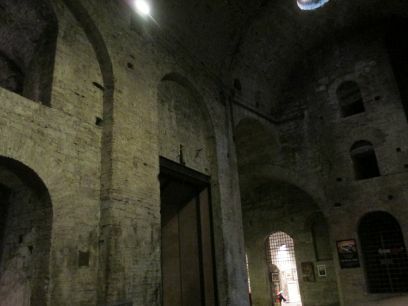 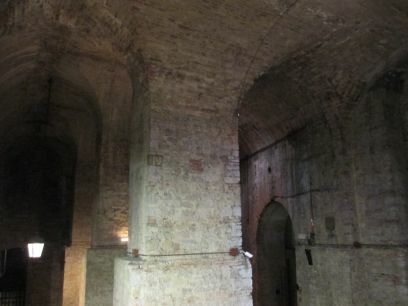 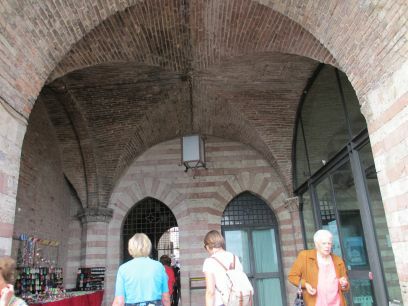 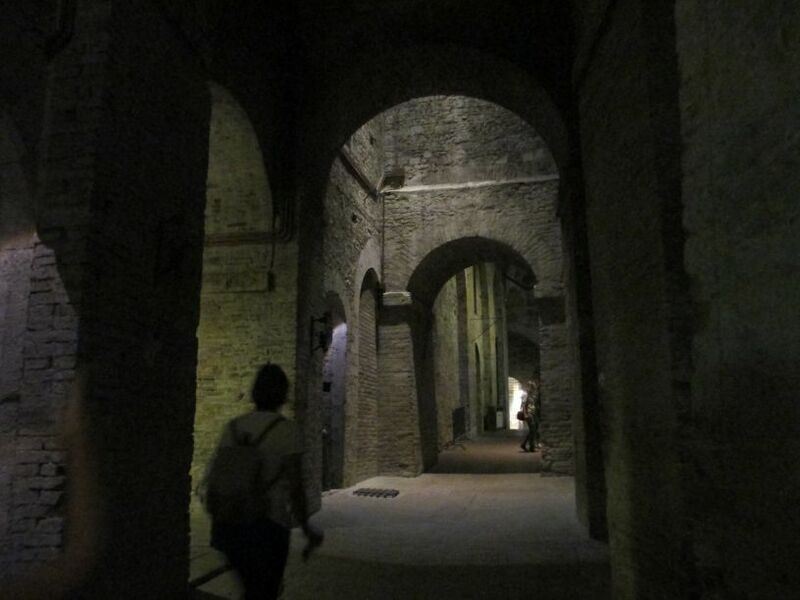 Perugia, Umbria, Italy: Some of the fine brickwork vaulting. 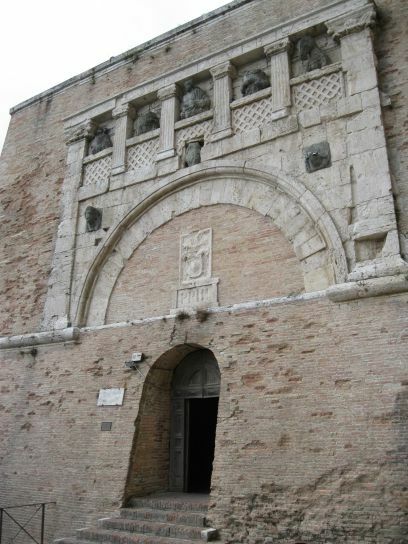 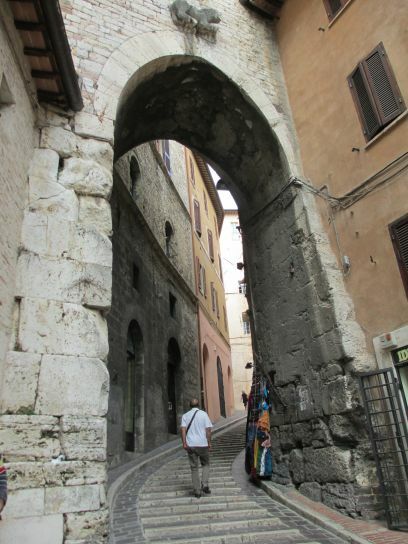 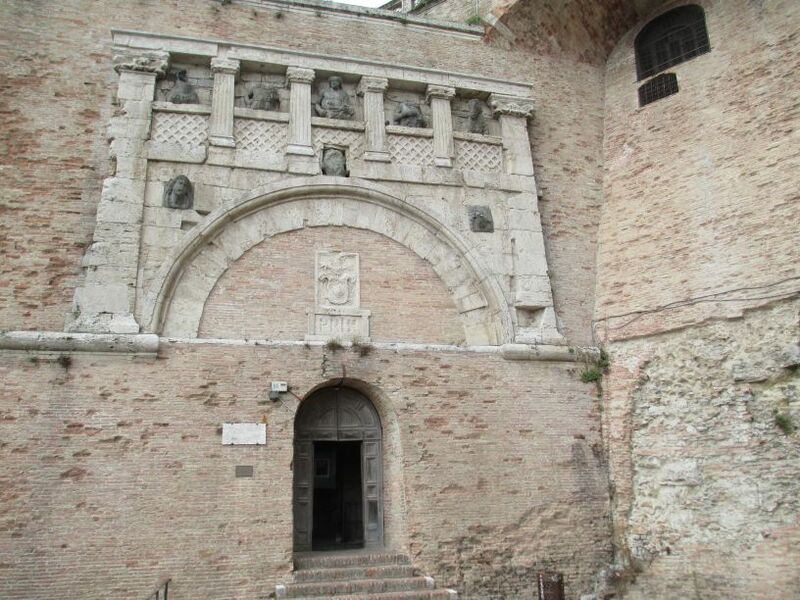 Perugia, Umbria, Italy: The Etruscan gateway, later used by the Romans and from medieval times to the present. 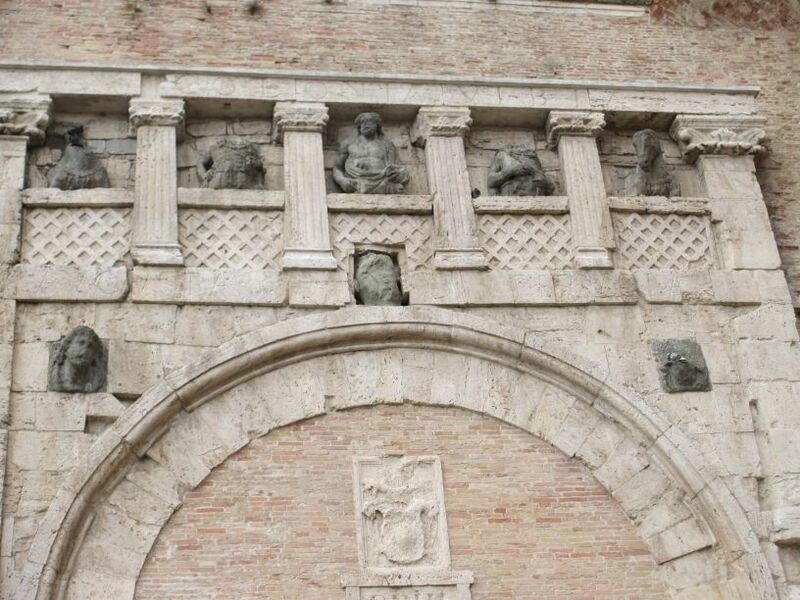 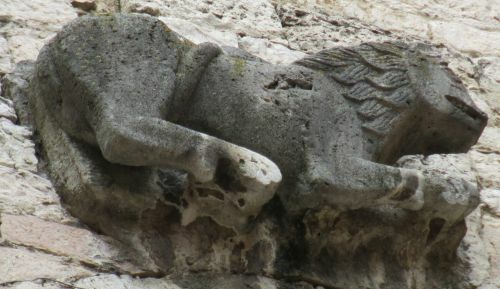 Perugia, Umbria, Italy: Details of the arch of the Etruscan gateway. 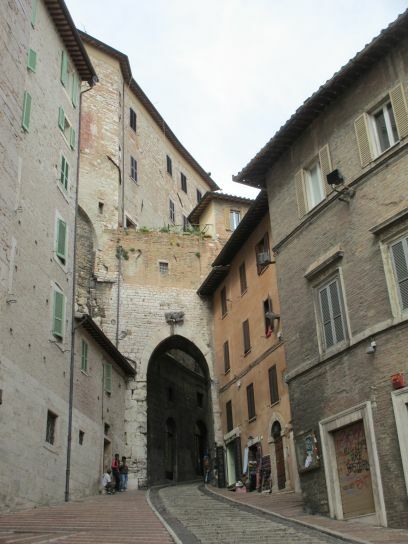 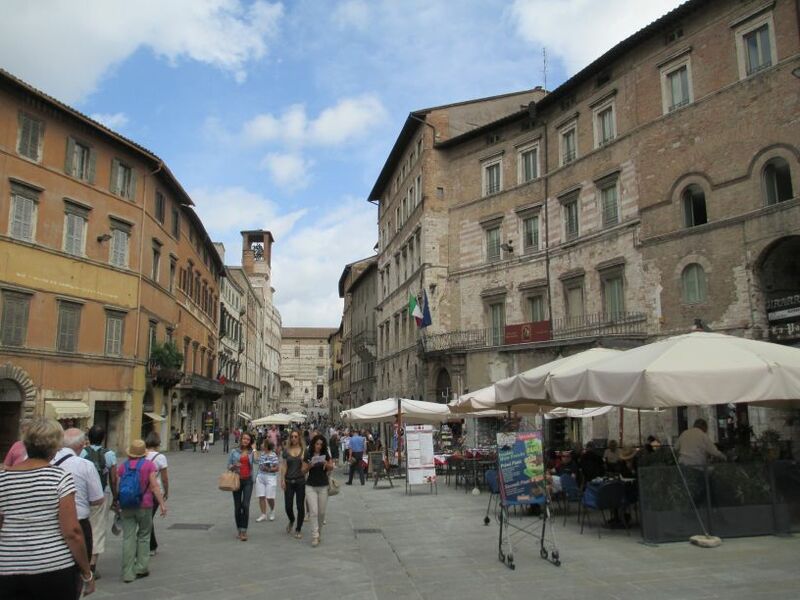 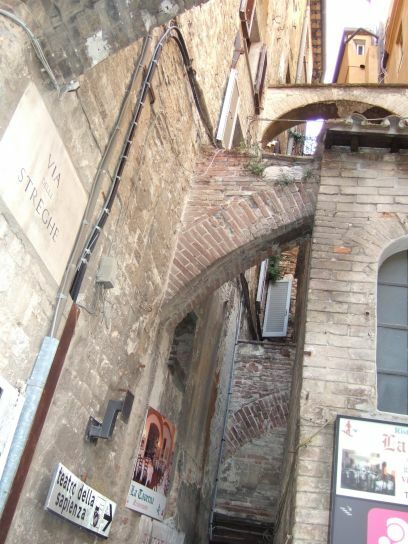 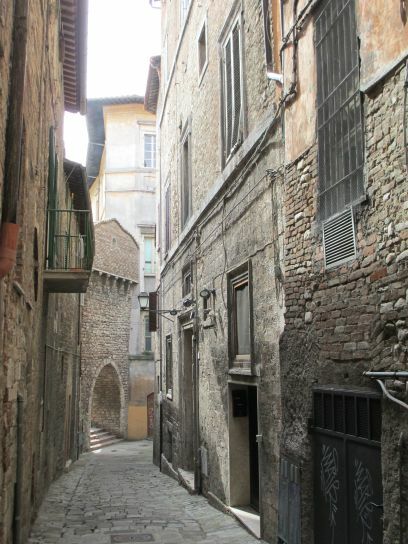 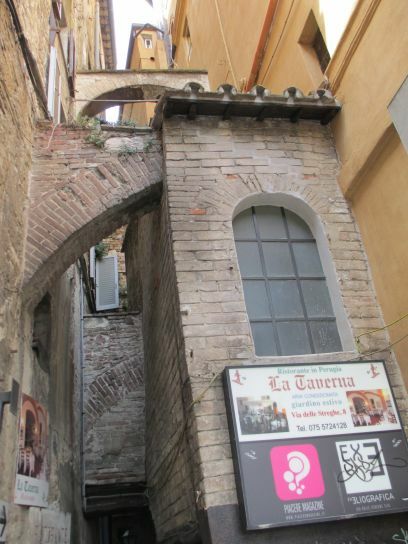 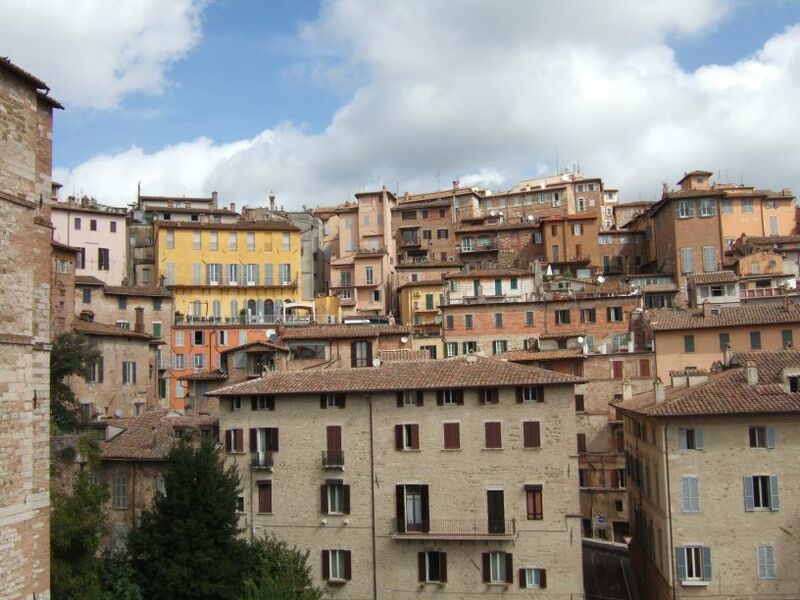 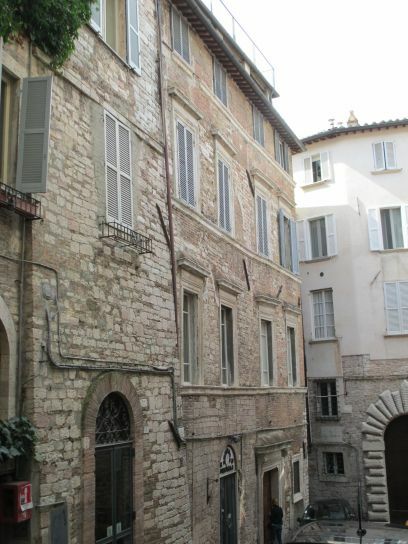 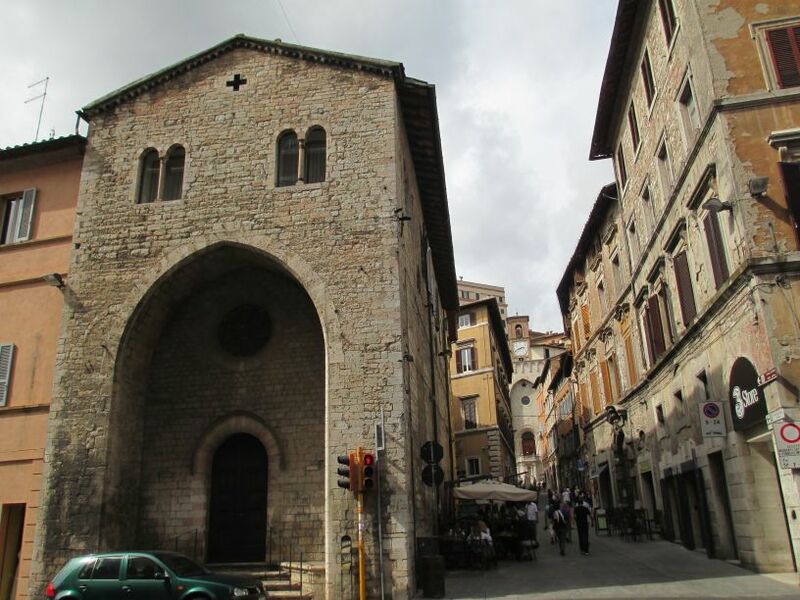 Perugia, Umbria, Italy: Generations of buildings, arches galore in these old narrow streets. 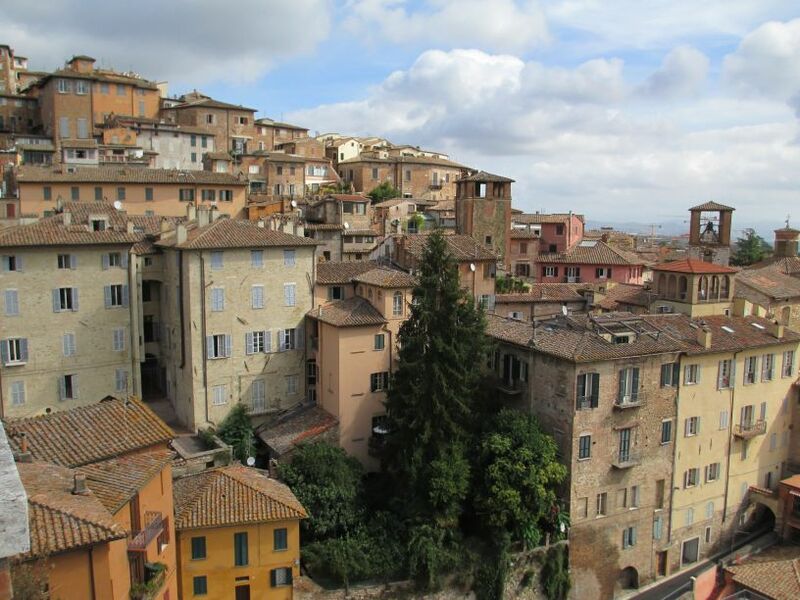 Perugia, Umbria, Italy: View from the city walls to the Umbrian Hills. 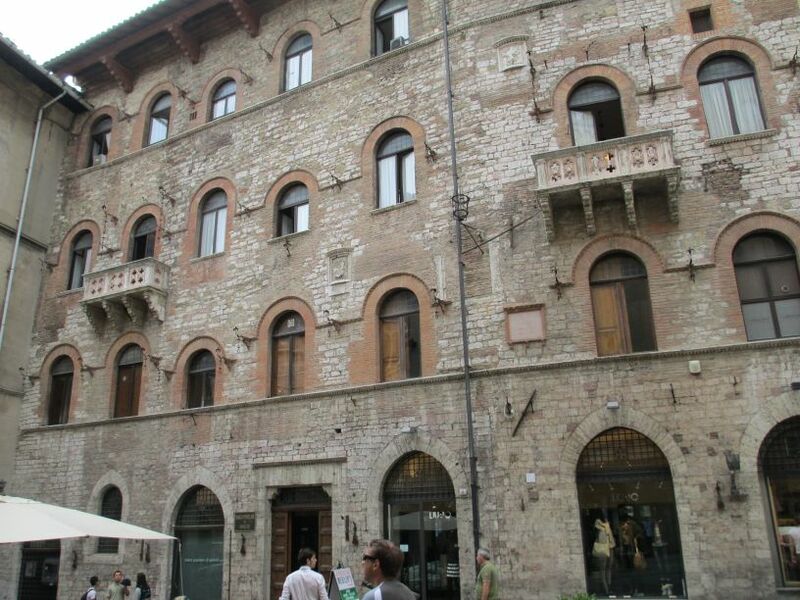 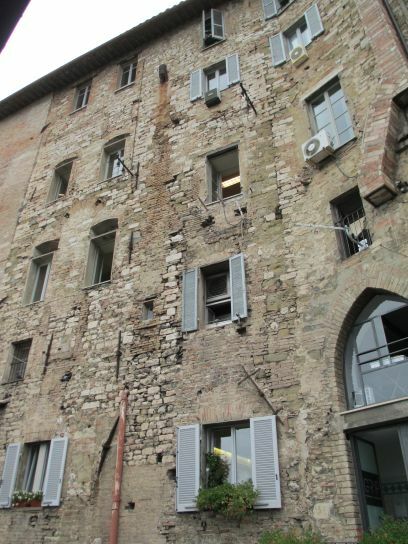 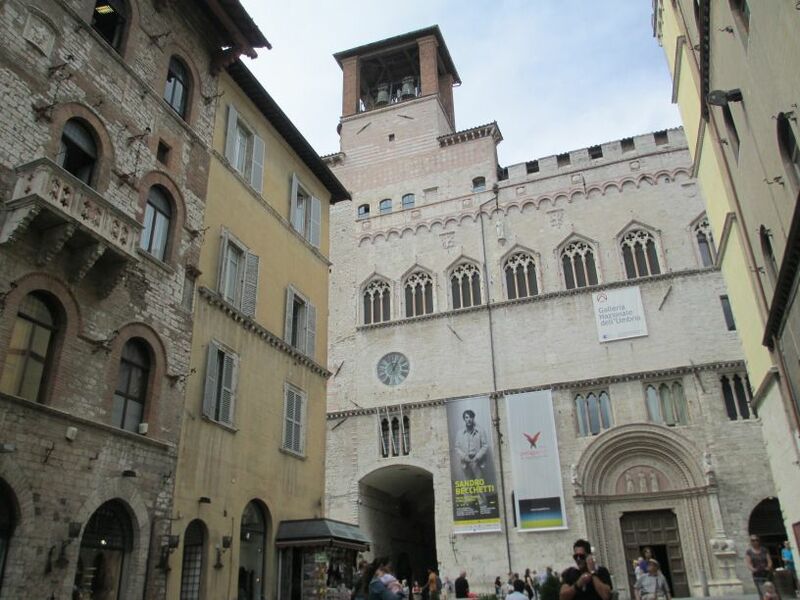 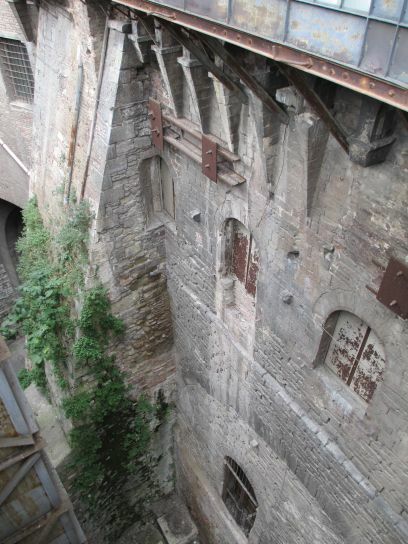 Perugia, Umbria, Italy: What a confusion of building modifications over many centuries, but easily defended! 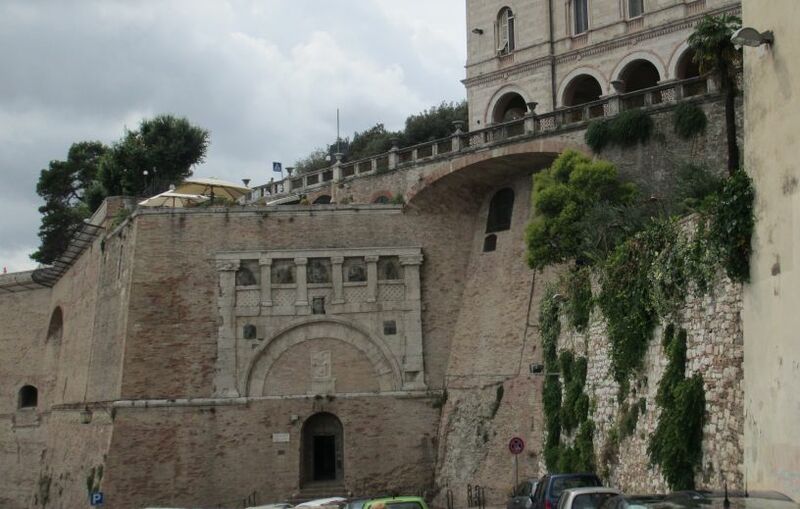 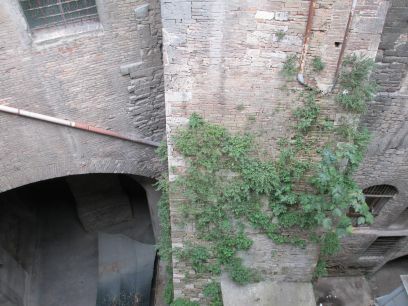 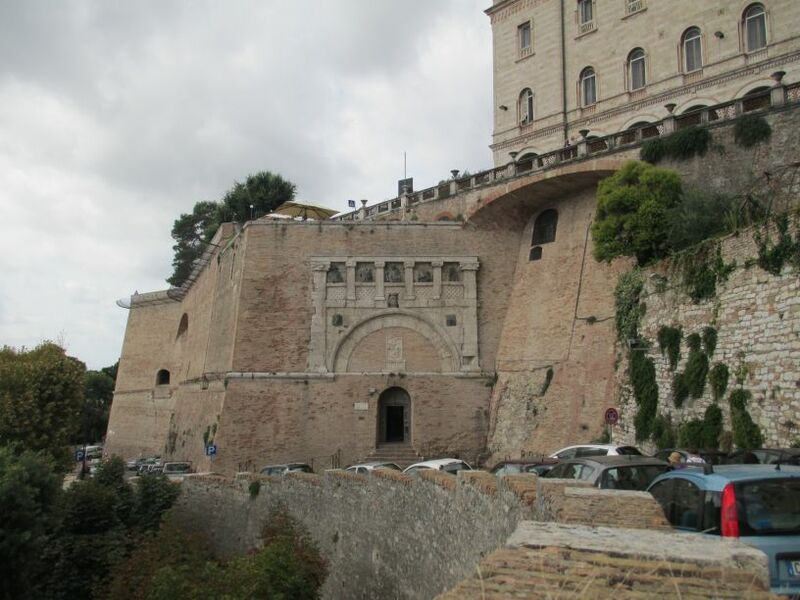 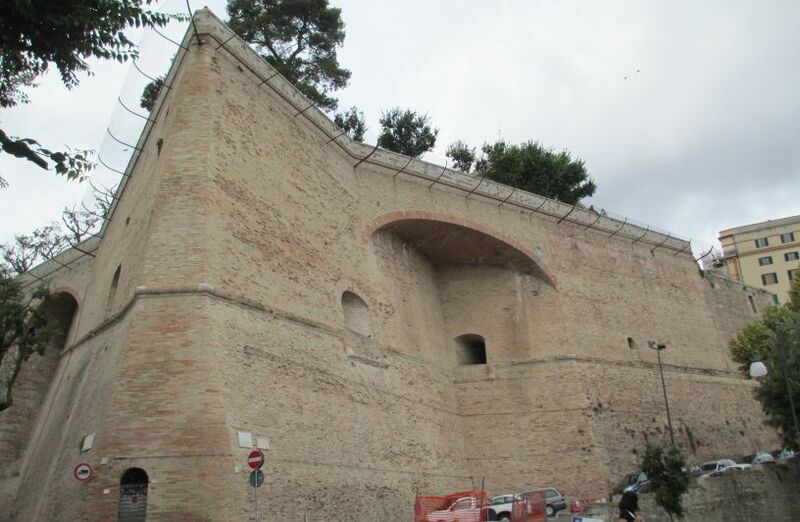 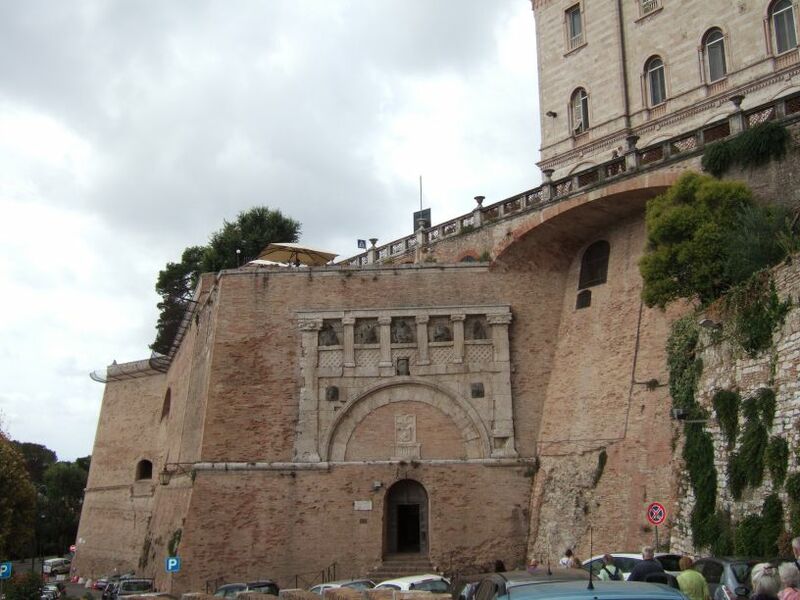 Perugia, Umbria, Italy: More vaulting in brick above and in the city's defensive walls.